In this blog tutorial, I am going to let you know about how & where to place your Ad unit in your Website? It is very important to place your Ad unit at the right place so that you could earn more potential profit from your Ad. If you have not created Google Adsense account and created the Ad unit then please go through the below extensive link for the same. 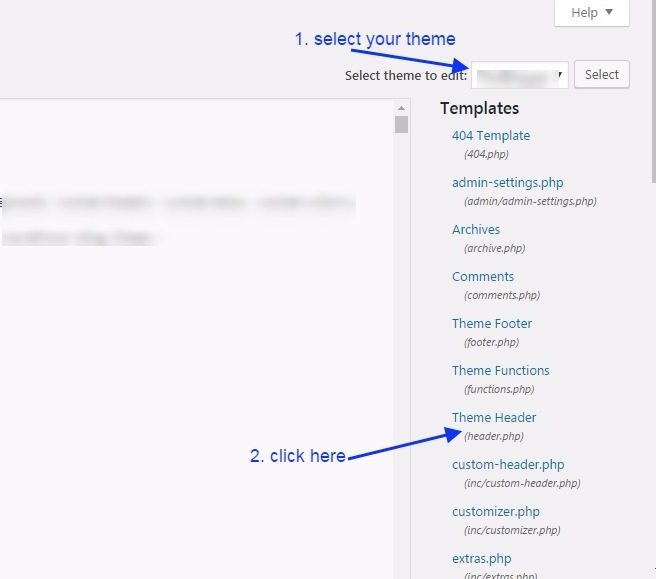 Create Adsense account with step by step procedure. 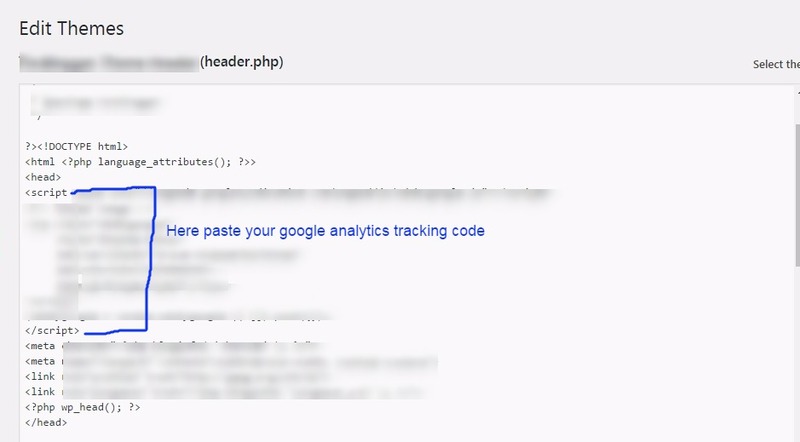 What should we keep in our mind before placing the Adsense code? The Ad should be placed in such a way that it gets a full attention of your site visitors. your Ad should be of a medium size not to large and not too small, actually, this also depends on the place where are you placing the Ads. Your Ads should be responsive else there should be sufficient place to set your Ad. Try to avoid to place the Ads just near to any image or after any image or link so that user does not get a click on accidentally with the confusion of content as this is not a good practice to have. What is the procedure for placing our Ad in our site….? 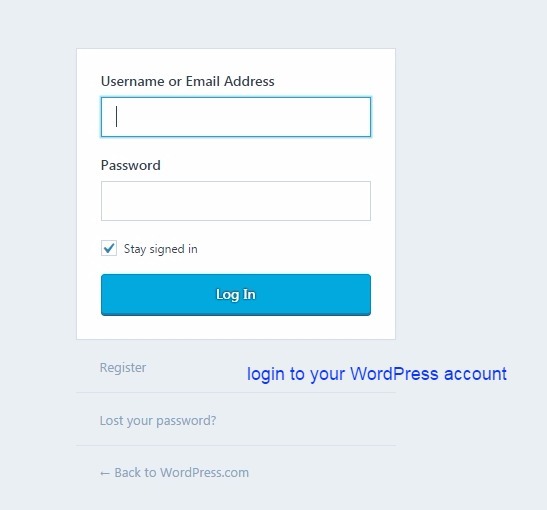 First login to your Google Adsense account. Then click on your Ad unit and then copy the code. Now login to your Website dashboard or admin panel. now you can paste this code at four most promising places. See the image below. Click on header.php file here you will get both head and body section. See the image below. Here we are pasting the code inside the head section. See the image below. This is the same procedure as the head section above just paste the code inside the body tag which is just below to the head tag. But for this section, you can create a new Ad unit as it would be easy to track the performance of your Ad. 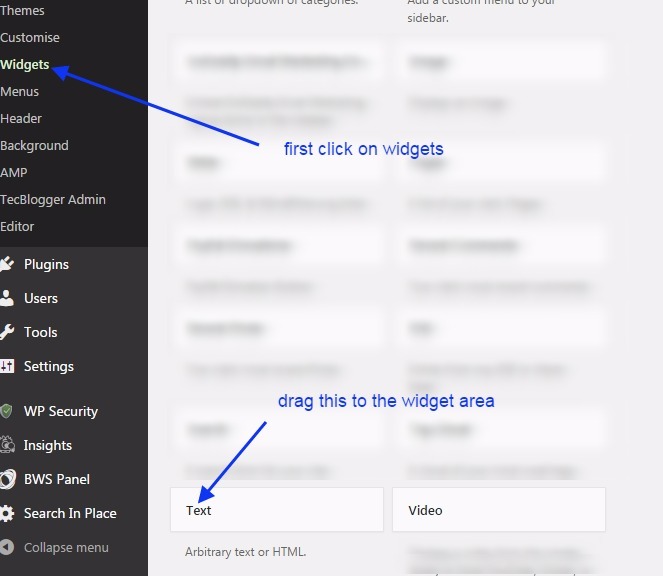 widget area: Click on widget area, here you can drag and drop the text widget to the right sidebar or widget area. See the image below. 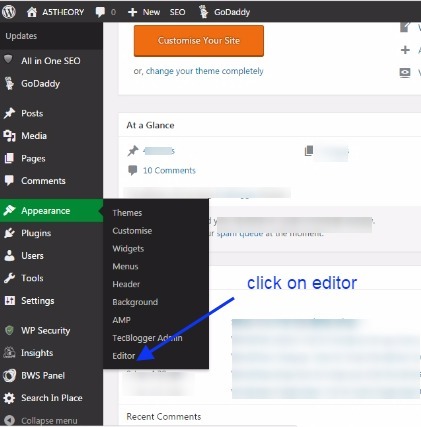 Create a new Ad unit for the widget area. Here you can paste the code for Ad unit. See the below image. Post/Pages: Here you can paste the code inside post or pages. You just need to open the post/page and then open in text view and paste the code where ever you need to show in your post. See the image below. 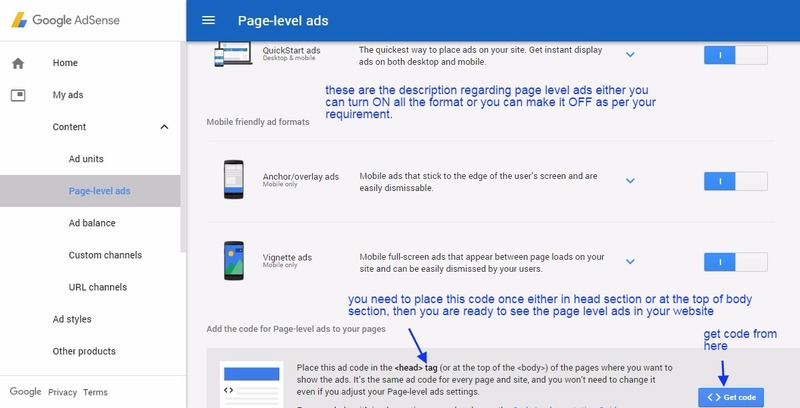 Page-Level-Ads: Here you will see, how to place the code for page level ads. You just need to copy the code and then you can either paste it inside the head or body section. 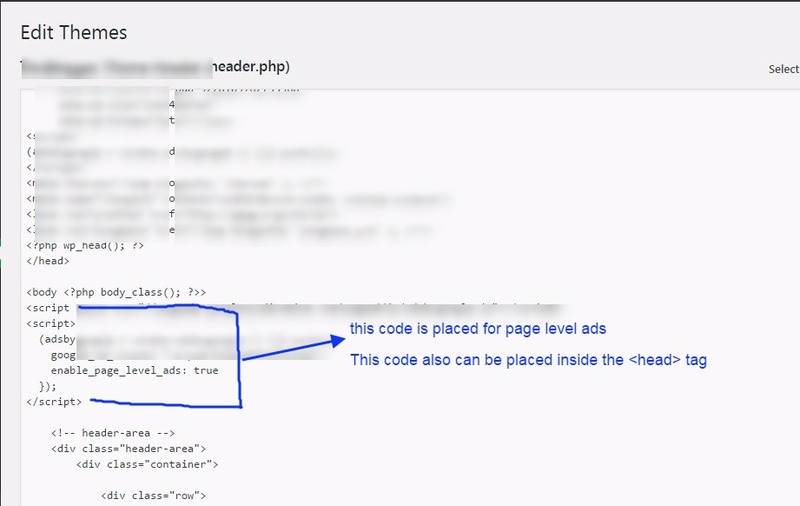 If you have already added your one ad unit inside the head section this code you can add inside the body section. 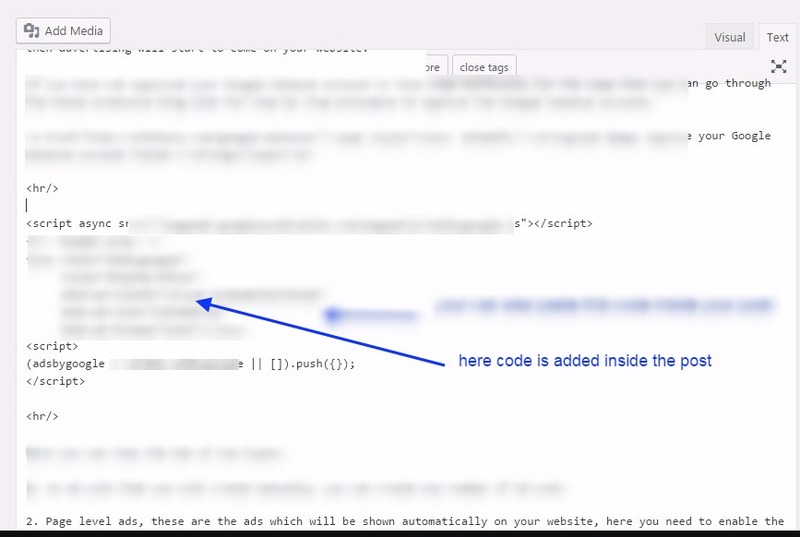 Once you place this code inside the body section ads will start to appear on your website pages. See the image below. Here we paste this code inside the body tag. See the image below.